Sadly, not all Singaporeans know about MacRitchie. 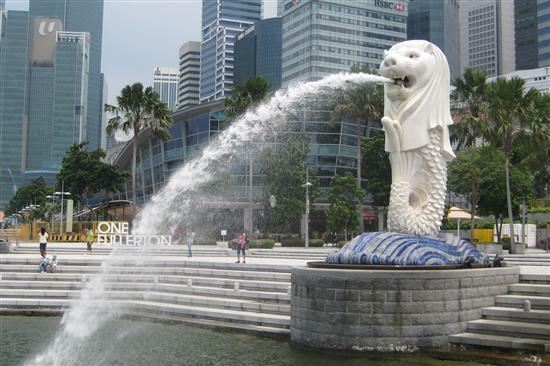 Singapore has a lot to offer it’s locals but the problem is that some locals aren’t even interested in experiencing most of Singapore. Why do you think this is the case? Well, maybe for one they haven’t heard of other places and two, maybe they haven’t ventured out their comfort zones yet. The best part about MacRitchie is that it is absolutely free! What other excuse would you have to pass on an opportunity like this? Now, what exactly is MacRitchie? 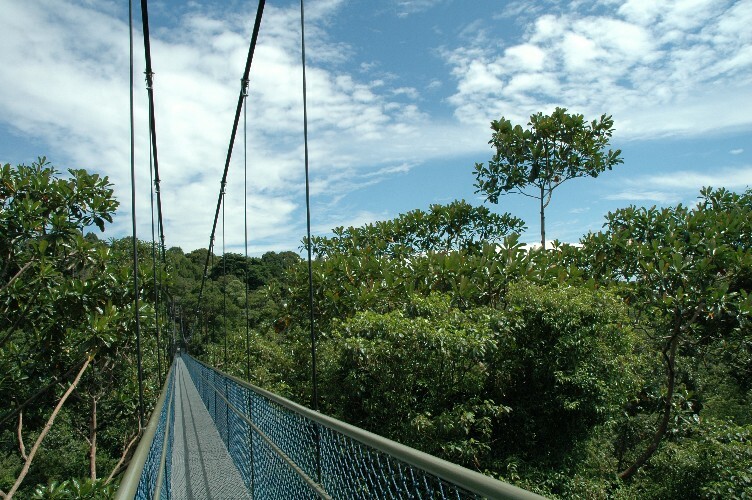 Well, MacRitchie is a collection of trees with a bridge not just beside them, but above them! Imagine experiencing nature on nature’s level itself! 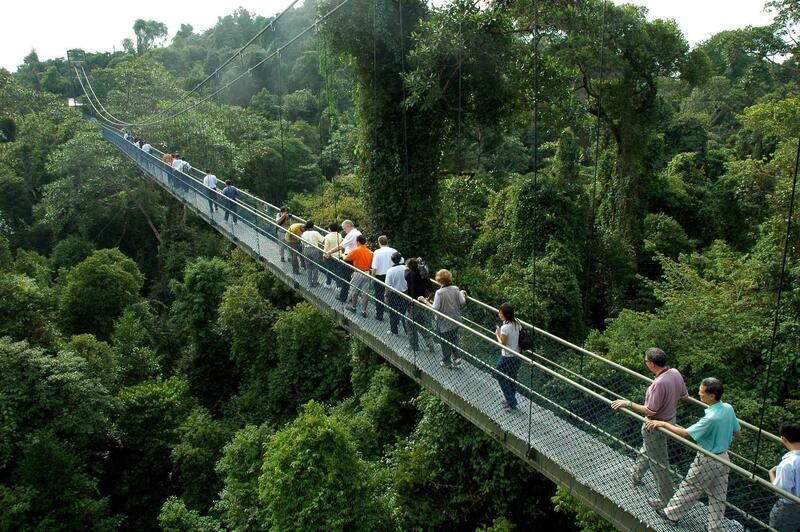 Well, this is what you will experience should you choose to go to MacRitchie on a holiday or maybe even on a weekend. Why wouldn’t you? Aside from MacRitchie being free meaning you wouldn’t have to spend a thing, you will also be able to spend quality time with nature just breathing in her goodness and rejuvenating your mind and soul. MacRitchie treetops is the perfect place to go if you are a fan of having a walk all to yourself enjoying scenes and details around you. 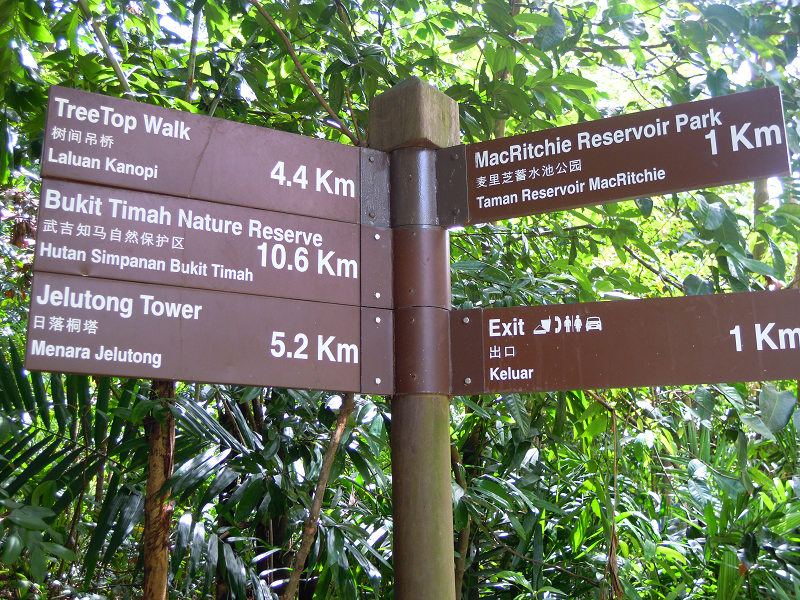 Well, we haven’t mentioned it yet but MacRitchie treetops is actually a bit challenging. Here’s the catch, it takes about an hour to get from the car park to the actual treetops itself and to complete the whole trail would cost you around 4-5 hours. We know what you’re thinking, this may be a bit too much. But hey, you should try it at least once! Make it a challenge for you to complete the trail. Not everybody enjoy walking. Some people forget to appreciate the journey and only focus on getting from one destination to another. Sometimes in the busy streets of Singapore, it is a good idea to go for an afternoon stroll around MacRitchie treetops. For you to be able to accomplish this trail, you’d have to prepare yourself. Not just on the day but also prepare yourself physically. Go for a stroll around your neighborhood for about an hour a day trying to increase your capacity into at least 3 to 4 hours. That way, you’d be able to complete the trail! Another thing a lot of people forget to bring when they are going on the MacRitchie treetops is water. Water and food to be exact. Water and food is a definite necessity to keep you energized and ready to complete the whole course. Go on a trip with nature! Enjoy every step of the way.